Nowadays, the Internet is getting more competitive and high as the users of the internet on mobiles, smartphones and etc are increasing day by day. Local SEO is contributing a lot to get businesses recognized. Better connectivity and wide use of smartphones have contributed towards the significant growth in local SEO. Local SEO can be defined in a way where it is focused on providing results that are very much relevant and needful to a searcher and the information should be based on their current location. One can get the better understanding of these terms by joining Digital marketing institute in Janakpuri. For example, if you search for “Best Digital marketing institute” on your desktop right now, then Google will provide you with the results that are nearest to you. Same thing or similar results will be delivered if you search on your Smartphone. According to a survey, it has been revealed that over 50% of searches on mobiles or smartphones are carried on with local intent. It has been found in many surveys that nine out of ten people use smartphones or mobiles to look for local information and every four in five people went to the market to purchase the thing that they have just searched. Not only this, it is also very interesting to know that every three in four people take quick action and direct action after searching with local intent. So, finally, Google has found that queries with local intent are increasing and almost more than 90% mobile or Smartphone users look for local information on their phones.And so these all are proving that Local SEO has gained much importance and need to optimize. 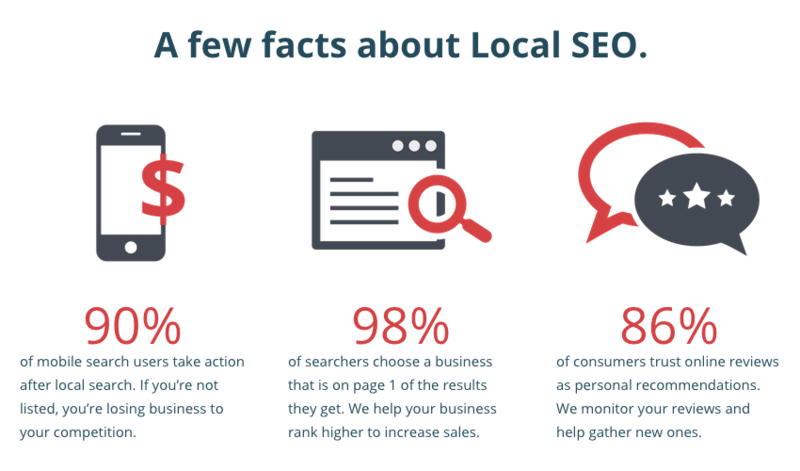 Local SEO is very much significant for small business as these businesses target the local markets and their much traffic came from local areas. 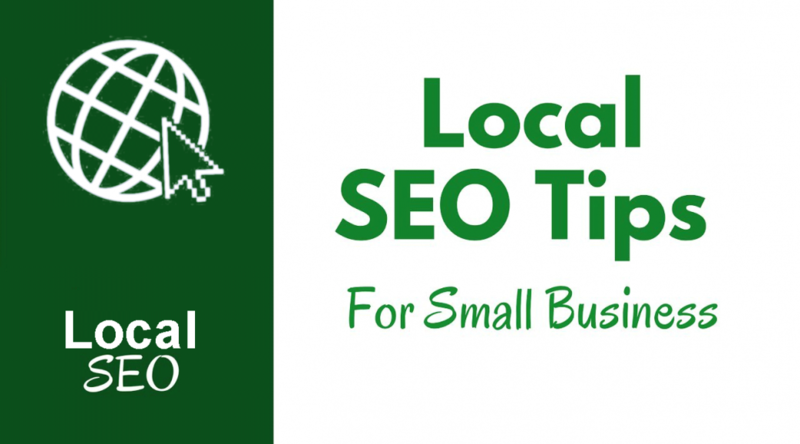 So, the below given are some tips which SEO could help you to get local if your business is small. You should optimize your site for local searches. Keywords play a significant role in getting the rankings. You can achieve higher rankings along with higher conversion rates by adding location & local phone numbers modifiers that can describe your keywords and pages better. Getting high rankings in local search is much less competitive when you are targeting a local market. For example, if you are using the keyword digital marketing course then it will have to compete with every digital marketing course in the world. But if your keyword will target “Digital marketing institute in Janakpuri” then it will have to compete only with general digital marketing institutes which own a website and are actively trying to optimize SEO for their websites. To get the local traffic you need to get listed directories. Your first step should be to get enlisted in all the free local directories as it will help you to get more local traffic and in a very short span of time. After that, it is also necessary to make an audit and updating the listings you have made in the directories for consistency to the information on your website. The best career option is waiting for you in Janakpuri. How to get a dream job through a digital marketing course in Janakpuri. This type of content marketing helps you to get local SEO optimized and ultimately help your business to get good growth. You should be clear about focusing on a local market and try to take every step to get the local audience to attract towards your product and services. However, you should not ignore to obtain traffic from other parts of the country. You should register your business’ domain names with their current business addresses as it is important to get your business identified and get you the ranking. Now it should understand that ranking toward the top searches of the engine is not an easy thing and it takes time along with know-how. When you start to prioritize local SEO then it will ensure that your business ranks toward the top of search engines as online users will look for businesses in their area. 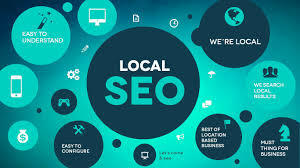 Optimizing local SEO will help your business to get not recognized but also it get good growth as a large number of people in your local area will come to know about it. Several small businesses are using these tricks and they are getting the best results. Local business will ultimately promote your business’s visibility on location-based searches. This will result in driving a huge amount of traffic and open a door for you to get potential revenue every year. Along with following the above-given tips you need to ensure that you’re the name, address and phone number of your business are consistent across all the online directories you have enlisted in. In order to remain consistent and to avoid the hassle of manually updating every directory you can take the help of a tool like Synup that will manage all your online listings for you. You can also improve your local SEO through citations as it a third party website which lists your business as a point of reference. A citation may contain the name, location or contact info of your business and also it does not require a backlink to your business’s website. All these efforts will finally help you to get the potential customers. As the customers would get the required or relevant information they want. It doesn’t matter if your business doesn’t have a website, local business helps your business to stand out in local searches and in getting more traffic.